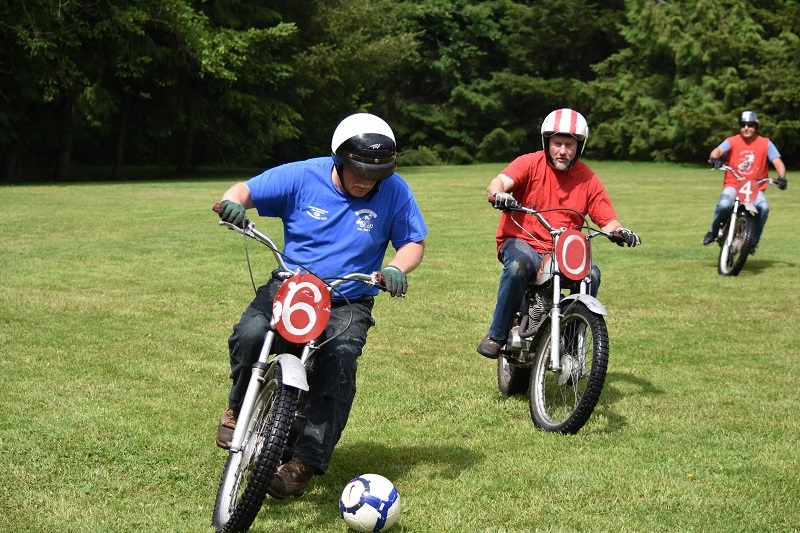 Time to check the tire pressure, put some fresh fuel in the tank and lube up our rusty motorcycle soccer skills. 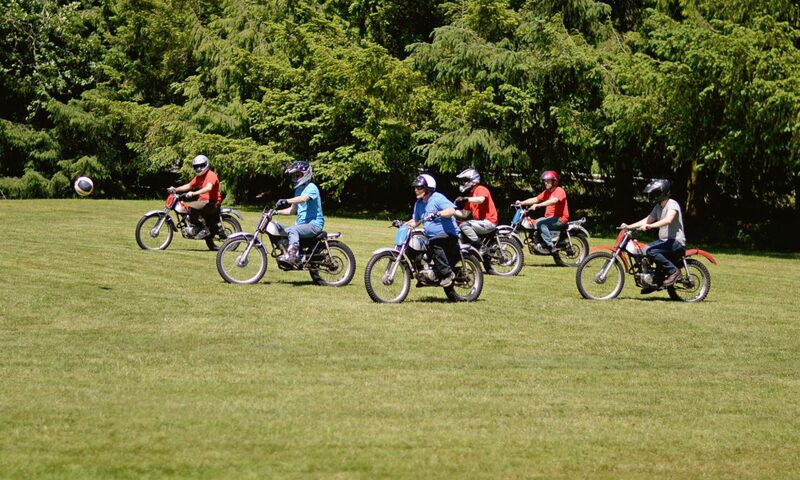 The first shakedown of the bikes was this last weekend. Jer-minator, Trouble, Happy Accident, T-Wrecks, Kill Switch, MR2FAST and me (Divot) spent the day going over the bikes, oiling and adjusting the bits and bobs. Making sure that the bikes were ready for the season of torture we will put them through. This is how every season begins for this group and it is a refreshing escape from the long winter. Then we threw in a couple of shakedown games for good measure. The weather was perfect and the soccer ball was set to correct pressure, for a perfect balance of bounce and being wedged into a fender at speed. As usual, the competition was vicious and the score was religiously kept track of. The loosers got swirlys and the winners feasted with goddesses. 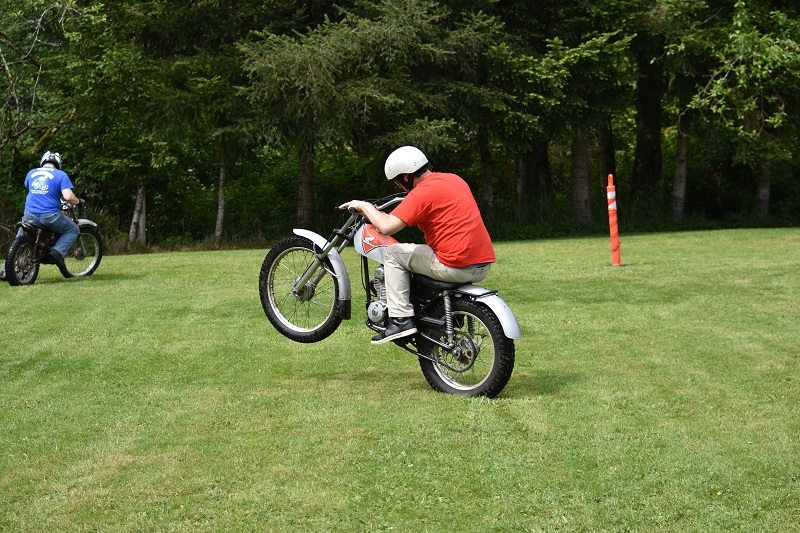 We are ready for the upcoming Lemay Motorcycle Week where we put on a few exhibition games and some of us compete in the vintage trials event. This is a one of a kind event held on Fathers Day Weekend. The setting is the pristine grounds of a Catholic Boys School built in 1920 with park like lawns and brick architecture. The building are filled with collectible cars and motorcycles of every vintage and origin one could think up. There are games, food, entertainment and a store filled with interesting souvenirs. 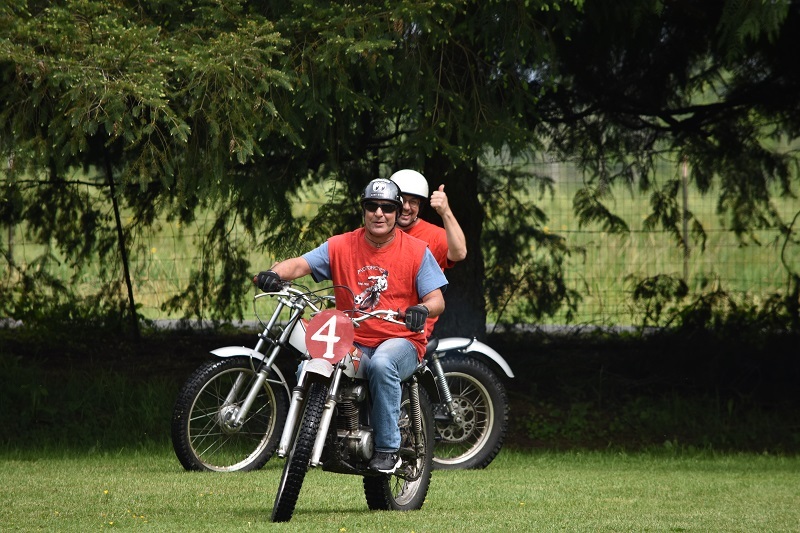 If you are interested in joining us out at the Lemay Motorcycle Week you can contact me for more information or visit the site. See you out there. We raised enough to buy new carburetors for most of the bikes and continue to have a resource for parts to work on those carburetors. Thanks everyone for the donations. You guys keep the wheels spinnin! Everyone is awesome at contributing to this group in many ways. This is one of the best groups I have been a part of. I wanted to call out donors to be transparent and to give credit.